I was sitting in front of a class of middle schoolers who were reading my book, Raw Wounds, when a student asked that haunting question. I can’t lie; when I asked the kids, “Do you have any questions before I start speaking?” I wrongly assumed that they would raise questions about my book. Boy, was I wrong. My tongue turned to stone. My throat felt clogged—as if a gun had been jammed down my throat. This was a life-or-death situation. His life, my life. It wasn’t the first time that a student asked me a question of this magnitude. However, this particular time, I didn’t have a response—just a blue fire burning in my soul. Suicide is the 16th-leading cause of death for blacks of all ages and the third leading cause of death for black males between the ages of 15 and 24, according to data from the American Association of Suicidology. After researching this information, I had a better understanding as to why children want to kill themselves. 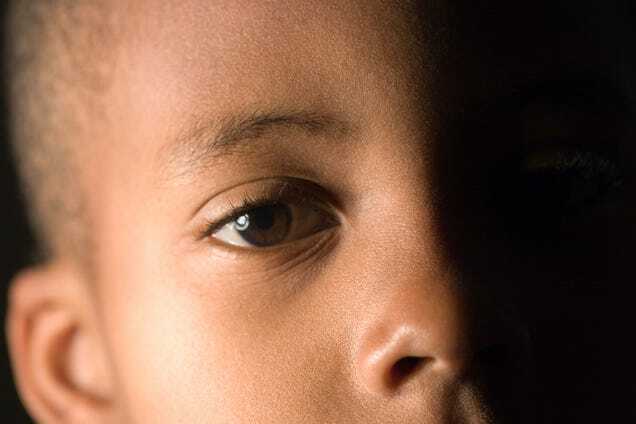 I live in Baltimore, a city where children witness bullets zooming past their own earlobes—and that same bullet then striking the back of their friend’s neck. I live in a city where grandparents regularly bury their children and grandchildren. I live in a city where lead-paint poisoning and fentanyl are catching bodies left and right. I live in a city where your zip code determines whether or not you die. I live in a city where kids have knocked on God’s door, been ignored several times and then come to me asking about suicide. Many of these children can’t picture better lives for themselves. Some will never get close to nibbling a piece of that American pie—so that’s why they crave to kill themselves. According to statistics compiled by Suicide Awareness Voices of Education, 7 in 100,000 youths ages 15-19 die by suicide each year; 12.7 in 100,000 young adults ages 20-24 die by suicide each year; male deaths represent 79 percent of all U.S. suicides; and there is one death by suicide in the U.S. every 12 minutes. So little conversation about so much blood shed. I live in a city where your zip code determines whether or not you die. I live in a city where kids have knocked on God’s door, been ignored several times and then come to me asking about suicide. I stumbled across a headline the other day that read, “Family Stunned by Boy’s Suicide Attempt That Killed Driver.” A 12-year-old boy belly flopped from an overpass in Virginia and ended up landing on an SUV, killing a 22-year-old woman. In Memphis, Tenn., recently, a 10-year-old boy stabbed himself in the chest, taking his own life. These two incidents are deeply troubling, but they are lint-ball-sized when you take a glimpse at the rate at which young people are killing themselves. In impoverished communities similar to the one I am from and currently live in, “suicide” and “depression” are words that are always left out of conversations about the ways that black people die. In many cases, suicide among black people is directly connected to poverty and poor race relations in America. There is no one-size-fits-all solution to this issue. We need to start being more wholeheartedly open about our feelings and emotions so that we can shift the culture and the way that we handle discussions about suicide and depression. Quite often my joy deserts me, leaving me wounded while in the company of life’s troubles. Being open about what’s killing you can help save a life or two. That might not sound like a lot, but rescuing one person is better than not rescuing anyone at all. Kondwani Fidel, author of Raw Wounds, has been featured in the Washington Post, Mic, CNN and elsewhere and has made a television appearance on RT America. He has been published in The Root, Afro and City Paper. Fidel is an MFA candidate at the University of Baltimore, concentrating on creative writing. He is from, and currently lives in, Baltimore. Follow him on Instagram, Twitter and Facebook.